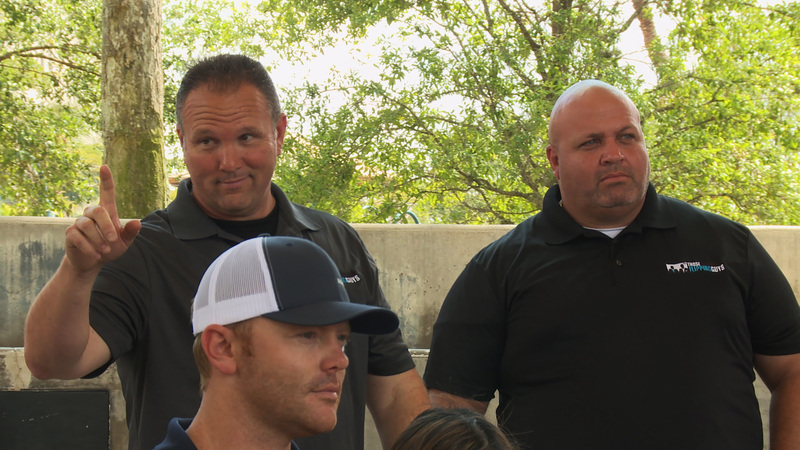 "Flip Wars" duo, Gene and Angelo have almost 20 years of experience flipping homes. 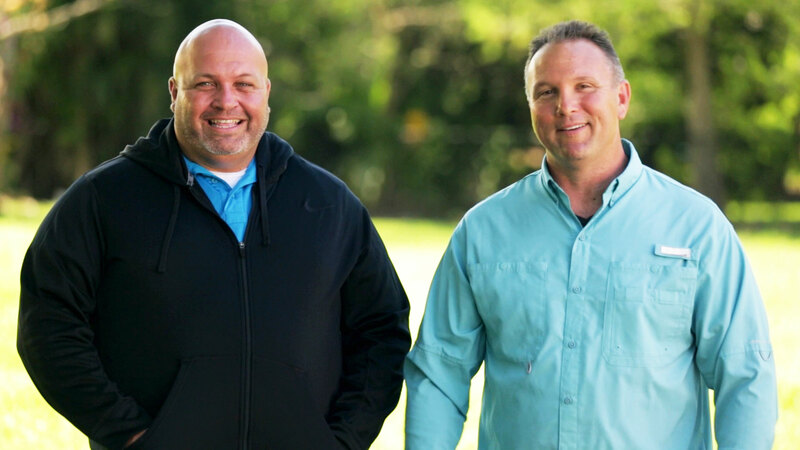 They answer some of our questions about their first flips, their favorite rooms to renovate and red flags when buying properties that new flippers may miss. Tell us about your first flip. Did it turn out the way you planned? Gene: I was so nervous to buy my first house, I thought I had the stomach flu. It turned out, it was just the butterflies in my stomach. It had an illegal addition that I had to remove. I took a sledgehammer to it, but it was made of cinderblock. My whole body shook, but the wall was barely scratched—the thing was almost indestructible! I ended up having to get a Bobcat to take the thing down. Overall, it took three months to renovate and sell the place. I made a $9,000 profit. After that, I was hooked. Angelo: My first rehab was a little house in Hollywood, Florida. It went fairly easy and I made $10,000, so all in all, not too bad. We painted the house, changed the floors and installed some new lighting in the kitchen. But the biggest challenge was in the back yard—the house had a pool that was in horrible disrepair. I couldn't find a pool guy who could fix it, so I hired a landscaper who filled it with rocks and soil, and we planted grass right on top of it. All in, it took six months to sell the house, including the renovation time. What's one thing you do with every property you plan to flip? Gene: The first thing I do with a property is comp it ("Comparable sales" look at the size, condition and features of similar homes in the area when determining how much to sell your own house for.) I compare the prices, then try and figure out an exit strategy, whether it's to wholesale [it], fix and flip, or buy and hold. When we're buying and selling wholesale, we don't have to renovate—sometimes we can sell a house in minutes. Renovating takes a lot longer. The fastest we've ever renovated and sold a house is less than a month. Once, it took us over a year and a half to flip a property. That one was a comedy of errors: permit issues, buyers dropping out, it was one thing after another. We've had a lot more wins than losses, but flipping is always a risk. Angelo: We try to make it the nicest house in the area without over-rehabbing it. I like to upgrade the countertops to stone, make the bathrooms crisp and clean and always landscape the outside. Curb appeal is key! 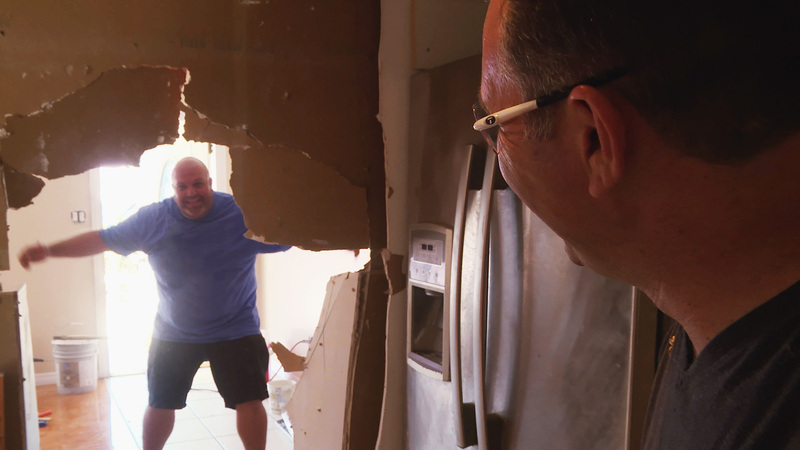 What's one thing you try to avoid with every renovation? Gene: We avoid buying properties with major structural issues. What's the best reaction or compliment you received after completing a renovation and having potential buyers view the home? Gene: The best reaction from a potential buyer is [when they say] the home is perfect and is exactly what they are looking for. We usually install white Shaker kitchen cabinets—it's hard to go wrong there—but recently we've been having some fun with colored tile in the backsplash and buyers have really responded well to it. My personal favorite feature in a house was a wood-paneled ceiling we put into a master bathroom. Everyone who saw that house fell in love with it. Angelo: The best reaction we can get on one of our rehabs is a check! Recently we installed an epoxy floor in a garage in one of our homes: It's bright blue, super shiny and it looks like marble. It's really unique, and buyers thought it was great. That house sold quickly. But it was a bit of a gamble. Just because I like it doesn't mean buyers are going to like it. Luckily people liked this one. 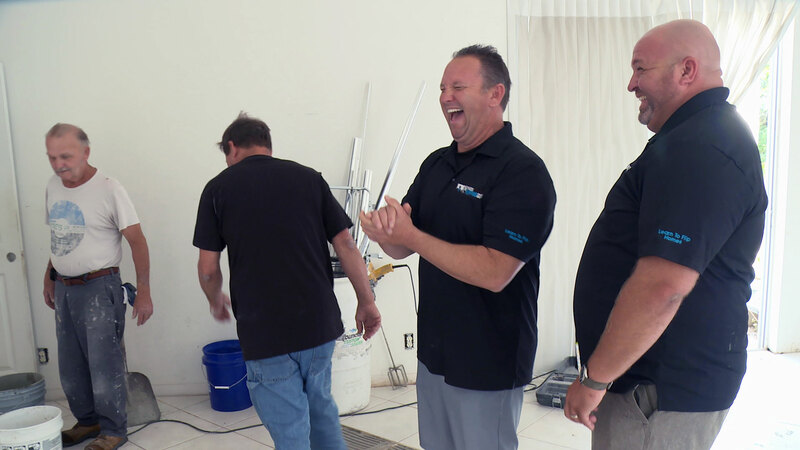 What's the funniest thing to happen to you while working on a renovation? Gene: Dumping a gallon of paint on myself...by myself. I was too lazy to remove the paint from the top of a ladder before I moved [the ladder]. Angelo: There was a pool with a cover on it. I ended up walking on the cover and fell into the pool...which, by the way, was a swamp. What is your favorite room to renovate in any given home? Why? Gene: I really enjoy rehabbing the kitchen in our properties. It offers the most 'wow factor' for the money. We try to work with the kitchen's existing footprint, so we don't have to move the electric and plumbing—that keeps costs down. Then we try to give the kitchen the most open feel possible, whether that's taking down a wall, or removing upper cabinets and bringing in a nice island. And we always install stainless-steel appliances. Angelo: I really like rehabbing the kitchen. It gets the biggest 'wow factor' plus I enjoy picking out the backsplashes. Do you have any traditions or things you do immediately after selling one of your flips? Gene: After finishing a rehab, I'm looking for my next deal. You never know where that deal is going to come from. We do a lot of marketing and networking; ideally, people come to us when they want to sell their home. Angelo: Looking for my next deal. We look everywhere we can—it's a relationship business. We do lot of advertising and ideally, people come to us to sell their home. We get all kinds of calls; a lot of times people inherit property and want to sell quickly. What's the best piece of advice someone offered you when you got into flipping? Gene: Always pay your hard-money lenders on time, or even earlier. Angelo: Never over-renovate. We usually save about $5,000 in our budget for contingencies—just in case an unexpected problem comes up. But sometimes you run into a huge plumbing problem, or a whole house may need to be rewired, and you can be on the hook for a lot more than you bargained for. And you don't usually see a return on that money. I've under-renovated a few times too. If we'd spent more on the renovation, we could have made more profit. But at the end of the day, it pays to be a little conservative. What red flags do you notice now when viewing a property that new flippers might miss? Gene: We see the opportunity in properties that some new investors may not. We can see past the mold and leaky roof issues and know there is tremendous opportunity in these types of properties. 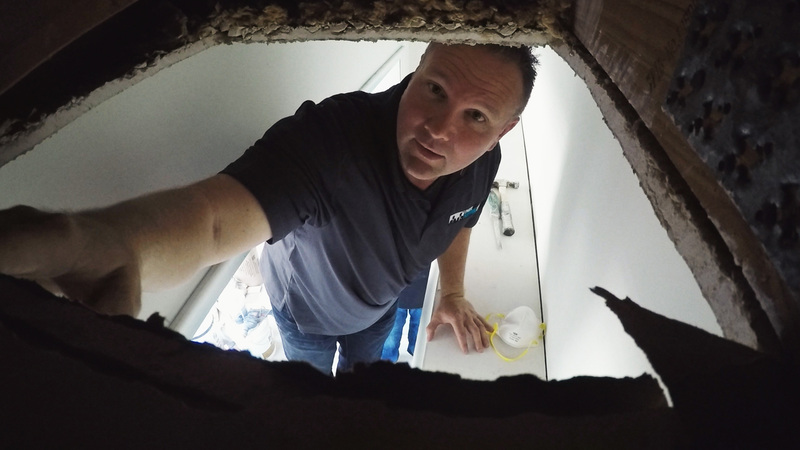 Angelo: Structural issues, as well as bad plumbing and electrical issues. Have you made any improvements to your own home that you're especially proud of? Gene: Everything but one toilet bowl has been changed in my house. It's an old-fashioned pull chain toilet we kept. Angelo: I built a bar in my backyard. I spend most of my time out there.